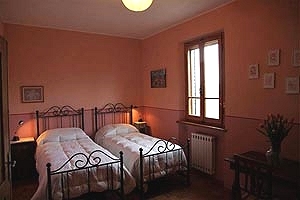 The farmhouse (5+1 sleeping accommodations) is part of an ancient farm situated on the top of a hill overlooking the suggestive ancient medieval village of Lucignano. 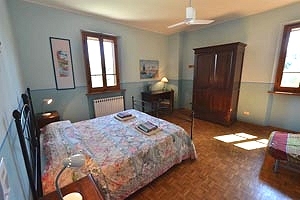 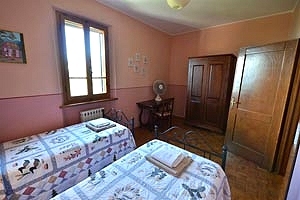 Lucignano is just some hundred metres from the house and is easily reached on foot. 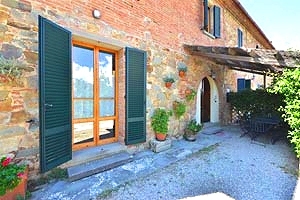 Next to the house lies a garden with swimming pool. 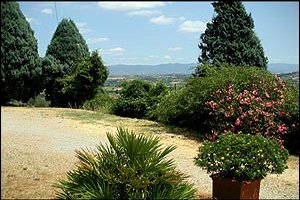 Historical Tuscan cities, such as Arezzo, Cortona, Pienza, Montalcino, Montepulciano and Siena, are within easy car reach for amusing one-day trips. 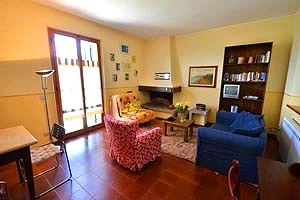 The house offers 1 double bedroom, 1 bedroom with 3 beds, 1 single sofa bed and 1 bathroom. 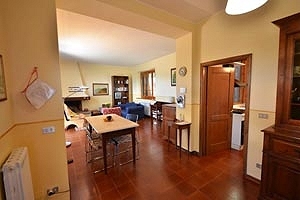 On the ground floor: equipped kitchen, large living/dining room with fireplace and single sofa bed. 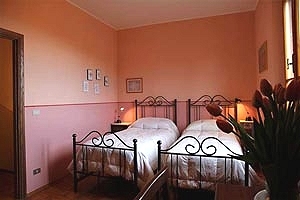 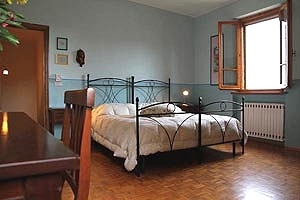 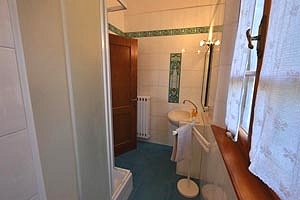 On the first floor: one double bedroom, one triple bedroom and one bathroom with shower. 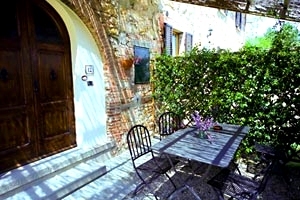 Outdoor: veranda furnished with table for eating al fresco. 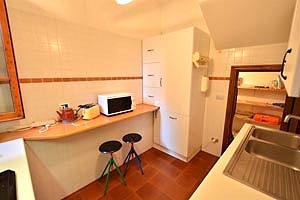 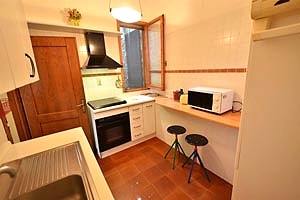 Swimming pool, parking, fireplace, baby cot, Internet connection, DVD player, satellite TV, CD player, washing machine, dishwasher, iron, electric oven and hair-dryer. 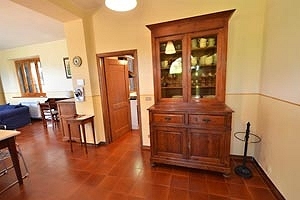 All services are in Lucignano (0.7 km): grocers`, restaurants, cafes, the post office, banks and shops. 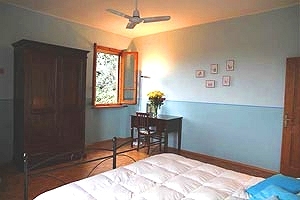 The nearest supermarket is 8 kilometres from the farmhouse, whereas the nearest casualty ward is 9 kilometres away. 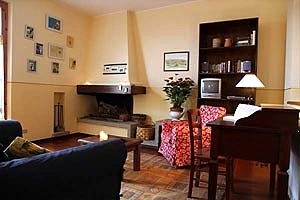 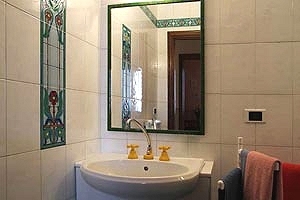 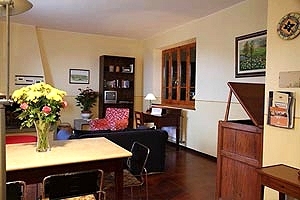 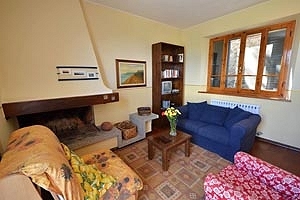 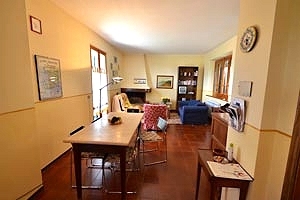 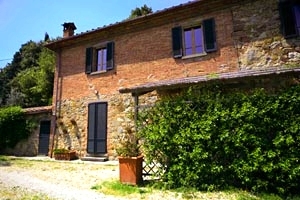 The farmhouse stands in the heart of Tuscany, in Valdichiana, in the province of Arezzo. 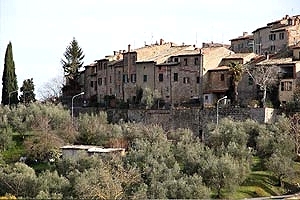 Lucignano 0.7 km - Arezzo 25 km - Cortona 25 km - Siena 40 km - Florence 80 km - Perugia 65 km - lake Trasimeno 25 km - Pienza and Montepulciano 30 km - Assisi 80 km - Roma 180 km. 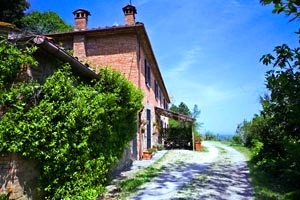 The farmhouse is reached through a tarmac road, which in the last 300 metres becomes a short private white road. 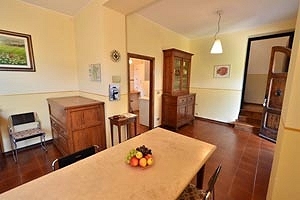 We had an excellent stay at this house. 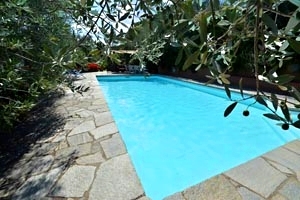 The pool was great , although it was not situated directly at the house (about 50 metres away). 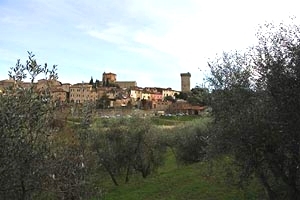 Lucignano is a little and beuatiful village with the best gelateria!